Sunny Orange County, California was the new location for the 2016 NACE show. This was the first year that NACE has been held in on the West Coast, with the last two events being held in Detroit and Las Vegas. With the change in venue, the show opened itself up to a new audience that typically may not want to travel to faraway places like Detroit. 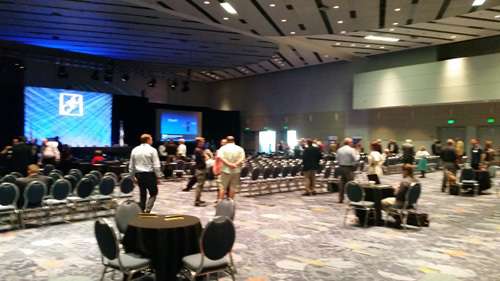 The Anaheim Convention Center was a spacious and comfortable location for NACE this year. My reaction on arrival was positive. The Anaheim Convention Center is a beautiful building, with multiple hotels located on the same block and within easy walking distance. This was extremely convenient for attendees who wished to conduct business meetings at any of these hotels. This was far superior to Detroit, where one would have to take either the “people mover” or taxi to get from the venue to a hotel. CIC panel discussion on aftermarket parts. As in previous years, the Collision Industry Conference (CIC) held their quarterly meeting in conjuncture with NACE. During the opening Tuesday afternoon CIC session, I attended a panel discussion on body shop certification. NSF was represented on the panel and was asked many questions regarding their latest announcement that ABRA was having 70 of their shops NSF certified. As always, the conversation shifted towards aftermarket parts usage which extended well into the allotted open mic time. 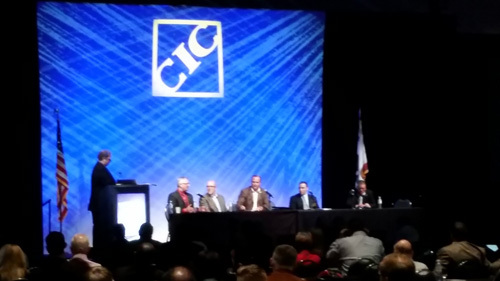 This is typically a lively conversation with the CIC crowd, and this year was no exception. CIC held their second session on Wednesday morning. 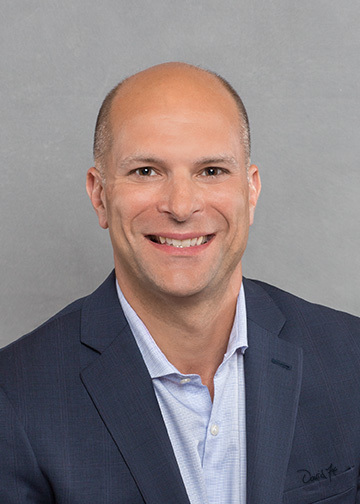 ABPA Board member Chris Northup of Professional Parts Group moderated a panel discussion for the Parts and Materials Committee, creatively titled, “I ordered an aftermarket part and they delivered OEM. Now what do I do?” In this discussion, Northup was able to discuss parts procurement procedures with insurers as well as some of the OE suppliers, including GM and Audi. The discussion also led into the subject of aftermarket parts usage, as well as the intriguing question of where OE parts actually come from. 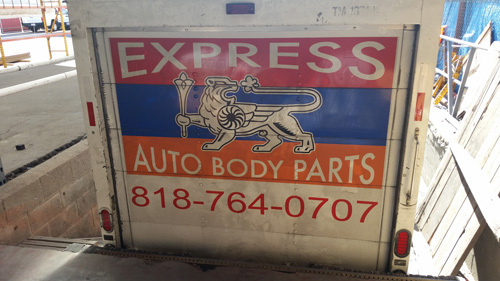 Express Auto Body parts is a growing business in Southern California, and a devoted ABPA member. When I travel, I try to visit ABPA members in the area and tour their companies. Express Body Parts of North Hollywood, CA was generous enough to take me for a full tour of their facility as well as take me out to a wonderful dinner. In business for over 20 years, Joe Babikian and his business partner, Harry Akopyan, run one of the cleanest and most organized parts facilities that I have seen. With a full inventory of certified parts (both NSF and CAPA) and fourteen delivery vehicles, their service record is helping them expand their business and keeping their customers happy. Did I mention the dinner? Although Joe and Harry are originally from Armenia, we dined at one of their favorite local restaurants, which is an Israeli place in Encino. I have never seen so many appetizers ordered for a table of three! Thursday marked the opening of the convention show for NACE. While ABPA members typically do not display at NACE, Pacific Best, which is local to California, did have a booth displaying their products. All Star Auto Lights, from Florida, was also in attendance. 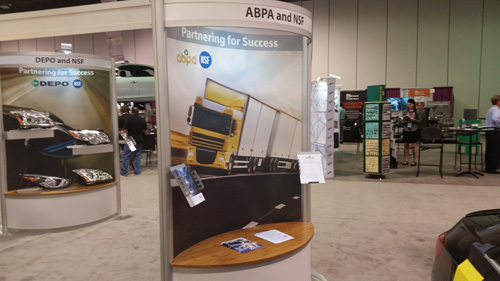 ABPA promotional literature was on display in our booth at NACE. NSF and CAPA were present with large, prominent booths with high visibility. NSF also partnered with ABPA in their booth, which enabled the Association to display our marketing materials and membership applications. One thing I noticed in walking the show was attendance seemed to be on the lighter side. Considering this was the opening day, I found this somewhat surprising. Official attendance numbers have not been released, but I would be curious to see how they compare to the Detroit NACE event. The Highway 39 Event Center is a private car collection that has been turned into a meeting facility. CCC is great at doing many things, but is exceptionally talented at throwing a great party. For those of you who have attended our annual ABPA convention, you know what I am referring to. This year at NACE was no exception, as CCC hosted a late afternoon cocktail reception with hors d’oeuvres. 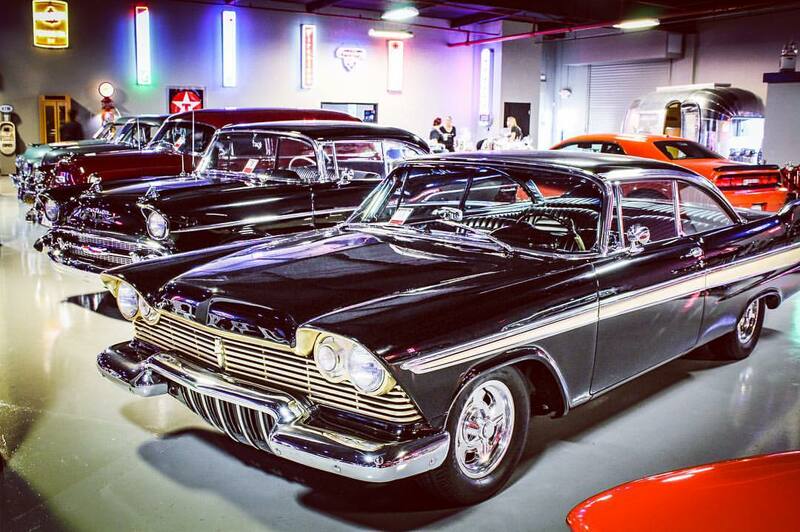 The event was held at the Highway 39 Event Center located in Anaheim, a special venue with many classic cars on display. We all enjoyed the music of the Beach Boys-themed band. Following the CCC reception, CAPA generously invited me to their special NACE dinner held at the Ranch restaurant. The Ranch is a great steakhouse with an impressive menu. As always, it was great to meet with Jack Gillis and Debbie Klouser of CAPA, and to reunite with many of my CAPA Board member friends. Reluctantly, I had to travel back east and leave sunny California early on Friday. NACE will return to Detroit next year for what promises to be a typically interesting and informative event. See you there!